Kendo Announces his 50th Anniversary Event! As many of you already know, this year marks the 50th Anniversary of Kendo Nagasaki’s spectacular debut upon the British Professional Wrestling scene, and consequently, he is holding a Special Celebration to mark the occasion. There is, of course, a further 50-year anniversary celebrated this year involving Kendo, which is that of the 1964 Tokyo Olympics, during which, for the first time ever, Judo was included in the games. It was under the tutelage of the great Kenshiro Abbe that the Man Behind the Mask, Yogensha, had intended to compete in that Olympics, but destiny decreed that Kendo Nagasaki would take precedence. The Celebration Event will take place at exactly 50 years to the minute from Kendo’s first ever wrestling match – he first appeared in the ring at 9:00 pm on Friday 13th November, 1964, so the Official Celebration will be marked at this precise date and time. The Celebration will take place at the Kendo Nagasaki Retreat in Staffordshire on the 13th November 2014, which is a Thursday. Invited guests will assemble between 7:00 pm and 7:30 pm, and there will be a buffet meal before marking the occasion at 9:00 pm. Invited guests will be able to spend an entire evening with the great Kendo Nagasaki. Firstly, you need to write about your first experience of Kendo Nagasaki. It doesn’t need to be an essay – in fact, the shorter, the better, as this relates to the second thing: at the 50th Anniversary Event, you will be required to read your tribute out to Kendo and the other attendees. How many places are available? Well, in keeping with the theme of the Celebration, the 50 people who write the most interesting, most dynamic, and the best observed recollections of their first experience of Kendo Nagasaki will be chosen to attend. Typically of Kendo, it’s a challenge, so those of you who do best at meeting that challenge will be here on the day! In recognition of the many levels of Kendo’s connections with Japan, a brand new Japanese Cherry Tree Orchard has been planted for the occasion containing 50 new trees, each planted to celebrate a year of Kendo’s wrestling and mystical presence. At the Celebration, the writers of the 50 best “Encounters with Kendo” will read out their tributes to Kendo at an individual tree. So, get writing! Remember, it shouldn’t be too long – part of the challenge is to keep your story short and punchy, as there will be limited time to share them all. You can apply by sending your story to 50YearCelebration@kendonagasaki.org. All applications must be received by midnight on Wednesday, 13th August 2014. You may also use this email address if you have any questions. We look forward to meeting 50 of Kendo’s best and keenest fans on the occasion of his 50th Anniversary, and if you can meet his challenge, you can be there, and be a part of this historic event! Anthem for Nagasaki available for Download! For the past few years, a stunning piece of music has announced Kendo’s arrival at the wrestling ring, and has also been used to convey the proper emotive atmosphere in his videos – it’s the Anthem for Nagasaki. A web mix of the Anthem has now been mastered and made available for download from the Nagasaki shop, and it’s a must-have, not only for true fans, but for anyone who seeks inspiration from a powerful, inspiring, motivating piece of music; the Anthem really does fire the emotions and fuel the ambition! Do yourself a favour, and download the Anthem – listening to it will make you feel the presence of the great Samurai warrior himself! This link takes you straight to the store. More Stock Coming to the Kendo Shop! – we sold out far quicker than we had imagined we would! We have a big new batch of T-shirts already in production and on its way to us, and as soon as they’re available, it’ll be announced here. Kendo’s Tattoo Explained, and Healing Pictures Revealed! and will be of great interest to all seekers of power! Furthermore, images of the original TV Times article about Kendo as a Healer have been added to the web page which contains the text of the article, which is the page entitled “The Healer Speaks“. They’re great archive pictures and well worth a closer look, which will come with the larger versions which will be clickable in the next day or two. Official Kendo Nagasaki T-shirts AVAILABLE NOW!!! 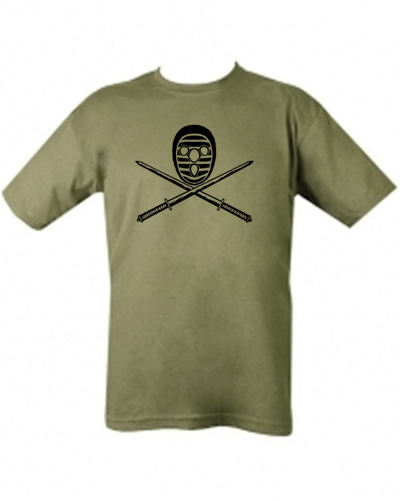 We are proud to announce the availability of the official Mask and Swords logo T-shirt! These shirts have previously only been sold at Kendo’s wrestling shows, but due to popular demand, we’re now making them available online! The unmistakable Kendo Nagasaki logo will really get you noticed! This shirt says, “Don’t mess with me – I’m indestructible! Get yours now as stocks are limited! 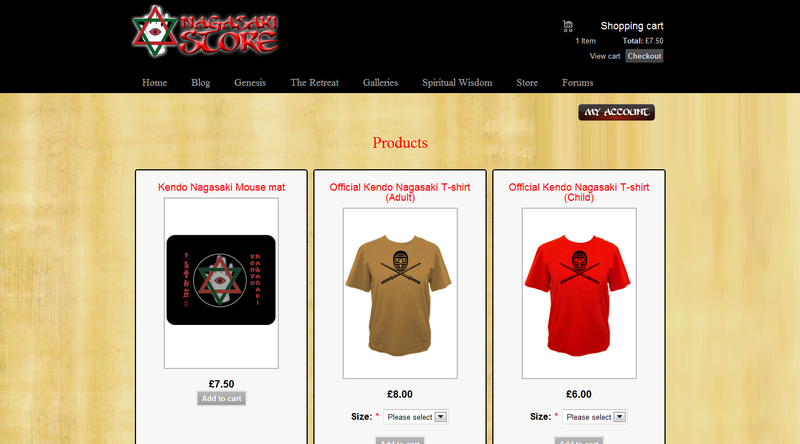 The Kendo Store is Now Live!!! Kendo now has a dedicated online store for his merchandise. The first articles for sale in the new store are the A5 signed picture of Kendo and Atlantis, and the signed A2 poster, “Images of Nagasaki” by Paul Yates. The free offer on these items has now expired, many thanks to all who showed such interest, but they’re still available at a low, low price in the shop. Please bear in mind that each and every one is personally signed by Kendo Nagasaki and Atlantis, so they make great gifts and artwork perfect for framing. Other items will be added in the next few days, including T-shirts which we already have in stock, and new posters of Kendo. Keep watching for new items! The Kendo Forums are now Live!!! The Kendo Nagasaki Forums are now live and active and taking posts! There are numerous main categories in which to post, including “Ask Kendo”, “Spiritual Wisdom”, “Wrestling”, and “Healing”, as well as a General Discussion section for all other general wrestling discussions and anything “off-topic” – a section where discussion threads about anything on earth (or beyond!) can be created. In addition to participating in open discussions, you can also message other forum users individually. So, Kendo fans, go to the forums and have your say! Just click on the “Forum” link on the top links bar. Kendo Nagasaki, portrait, oil on canvas. Celebrated artists The Bingham Brothers have painted Kendo’s portrait to complement their “People Of Our Time” collection. A sitting was arranged at The Bingham Brothers’ studio in May 2010, from which two portraits were to be painted. The Bingham Brothers’ excellent website shows additional pictures from the day. Kendo’s portrait will feature when the “People Of Our Time” collection is exhibited, first in London and then hopefully touring the UK, and we await hearing of which galleries will exhibit the collection, and when. For a closer look at the portrait, click here, and see further pictures of Kendo on the day, click here. Rick makes an excellent point – Kendo is a unique, enduring, and towering icon of British sports! Kendo’s base, amidst the stunning winter stillness…. Immense growth is possible in times of stillness; the greater the stillness, the greater can be the realisation and growth of true power. Ever the warrior, Kendo sees the latent power of nature, even in as peaceful a scene as this. Among the numerous exhibits at Staffordshire’s annual Open Art Exhibition at the Shire Hall Gallery, Kendo’s animated feature “Genesis In Portrait” won an award in the Animation category. Karen Sayle performed the animation of Rob Pointon’s brilliant painted sequences depicting the “genesis” of Kendo Nagasaki, winning a prize for her work. The legendary Nagasaki vs.Bartelli match continues to be a vivid memory for true wrestling fans. Kendo gets a Mystical New Number Plate! Kendo has acquired two fascinating items together – a beautiful and extremely rare Lamborghini Diablo Roadster, as well as an excellent number plate to go with it. The car is, we believe, one of only three ever built just before the take-over by Audi, with open headlamps, 4-wheel drive, the magnificent 5.7-litre V12 engine which went almost unchanged into the newer Murchielago model, and is even more rare by virtue of being one of only a few examples of a right-hand-drive roadster model. It was also owned by Rod Stewart. The car suits Kendo perfectly – its blend of enormous power, athletic precision, and unmistakable image fit perfectly with the icon himself! As so often happens around Kendo, circumstances flowed in a perfect harmony to bring just the right number plate to him – 13KN. KN obviously represent the initials for Kendo Nagasaki, but why is the number 13 significant? 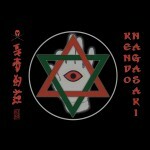 13 has long been associated with matters mystical and occult, and Kendo has always had a keen interest in such things. There are 13 letters in the name Kendo Nagasaki, in classical numerology, his name equates to the number 13, in Egyptian mythology there are 13 steps between life and death, the Romans equated 13 to death and destruction, a coven has 13 members, 13 people at a feast or banquet may signify an untimely death (Jesus Christ, Odin) which reveals karmic consequences, and for many more reasons, 13 is a significant and feared number. Kendo Nagasaki uses the number 13 to shed light upon the interplay between life and death, creation and destruction, good and evil, and thus elevate human understanding of universal laws, which exist beyond simplistic morality.